Texas Adult Driver Education Online! Complete Your Texas Adult Driver Education Online! We provide 24/7 customer support to answer any questions you may have about the course, registration or technical difficulties. Call our U.S. based customer support at 1-877-463-2477 or select the live chat button at the top right of the screen. 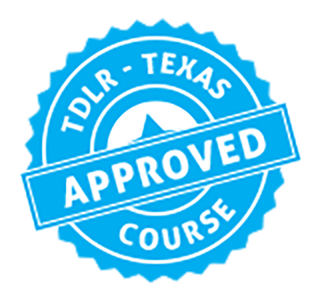 This driver ed course was developed so you can complete your TX driver license requirement 100% online. No written tests at the DPS! Once you've finished, we will process your completion and mail the state-issued certificate to provide the DPS when applying for your license. Quick answers to the most common Texas driver education questions. It was easy and fast. As a stay at home mom I like that the drivers test can be taken at home. "Texas Adult Driver" is a servicemark of American Safety Council, Inc.
You will get your certificate free via first class mail within 7-15 business days. Expedite options are available. No, you can log on and off as needed to complete. Do I have to take a written exam? No, you will not need to complete a written test if you successfully complete this online course and submit proof of completion to the DPS.